Earlier this month, The Boston Club published its 2018 report on the gender composition of the boards of the largest public companies in Massachusetts. There was plenty of good news, including the fact that women filled 42 percent of board vacancies in the last year: 30 board seats, with seven of them going to women of color. On the other hand, 11 of the 100 companies have no women on their boards, and 29 of the companies have only one woman director. As public company CEOs who have benefited from increasing diversity on our boards, we agree with many women’s organizations in our state that Massachusetts companies need to step up to more gender diversity. Let’s start with the data on purchasing power. Women own 50 percent of our country’s wealth and influence 83 percent of its purchases. They influence 89 percent of financial services decisions, 65 percent of car purchases, 80 percent of health care decisions — and most feel misunderstood by the companies that are trying to sell to them. Wouldn’t it make sense then for companies to have a board of directors that more accurately reflects their customer base? In our companies, which represent tech and financial services — traditionally thought of as being dominated by men — we have all benefited from having women on our boards. The jury is in on the notion that a diversity of perspectives, experiences, and backgrounds is a competitive advantage for a company. At a time when we are all focused on innovation, one critical strategy is to have diversity at the top of the company. To boot, we hear time and again from our employees — not just women — that the composition of our boards is a point of pride for them. 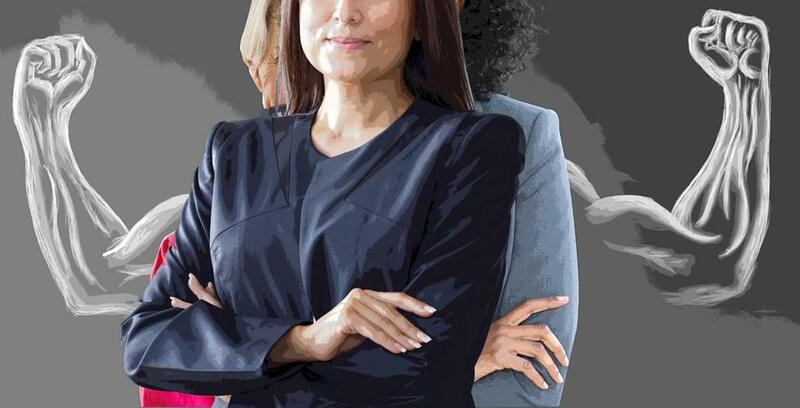 Prospective employees, customers, and partners all check out our respective websites to see what our governance looks like; they tell us that gender diversity matters to them. Having women of color, like Adriane Brown at Raytheon or Linda Dorcena Forry at Eversource, is another critical move. Seeing awesome women at the top makes it easier to attract awesome women to work at our companies, because we are concretely demonstrating that there is no glass ceiling, and that we are a place where they can build their careers without having to be “pioneers.” It makes us look smart. In the old days, we would hear that it was a good idea to have women on boards, but that the few good ones were already taken. Today, pipeline is hardly the issue. When Mitt Romney admitted to having “binders full of women” in 2012, it may have been an awkward political move, but he actually was given binders full of the profiles of extremely qualified women. Today, the number of board-qualified women out there is fantastic, and any company having trouble finding them can reach out to Boston Women Leaders Network or The Boston Club for help. The women on our boards are not tokens. Most are current or former CEOs or C-Suite executives, with deep domain expertise, who are adding extraordinary value to our companies. They are also financial experts, technology visionaries, marketing leaders, and seasoned operators. They have experience with mergers and acquisitions, have led companies during periods of rapid growth, are leading audit committees, and have the respect of their male colleagues. And, they are getting phone calls from West Coast companies that are starting to realize that they can poach the best of New England for their own firms. Last month, California decided to force the issue, passing a law that mandates female representation on public company boards. All are required to have at least one female director by the end of next year, with bigger numbers by 2021. Noncompliance results in hefty fines. We are convinced that companies in Massachusetts are much better off getting ahead of the curve on diversity. Instead of adding women to avoid paying penalties, let’s add women to our boards for the right reason: because it is good business. Colin Angle is CEO of iRobot, Jay Hooley is CEO and chairman of State Street, Scott Landers is CEO of Monotype, and Jeff Ray is CEO of Brightcove. Each of their companies has three or more women on its boards of directors.